Our children love taking part in the Dance strand of the Physical Education curriculum. During out Active Week we had music on the yard which our children fully embraced! 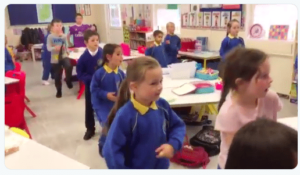 We also do GoNoodle as part of our brain breaks and on wet days. Stay tuned for more pictures of our dancing! !